We at SSK have long been building a new age of baseball equipment through use of the accumulated technologies past and present. SSKﾕs support of the many professional baseball players active in Japan and the United States has brought an abundant source of technical know how, as well as, materialized within the product development in making an ideal collection of baseball products. 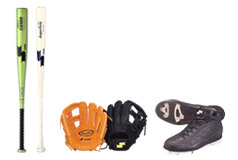 SSK has held many baseball training seminars throughout Japan to help spread the word of these products and their technologies while spreading the word of their positive affect to baseball. Now, along with our successfully fortified global network, we are involved in various activities on a global scale for the development of baseball. SSK has been making agreement, as official supplier, with International BAseball Federation since 1995 and Italian Baseball and Softball Federation since 1992. In additiion, we concluded agreement with Dominical Baseball Federation and Greece Baseball Federation in 2001, providing them with quality baseball equipment as official supplier. 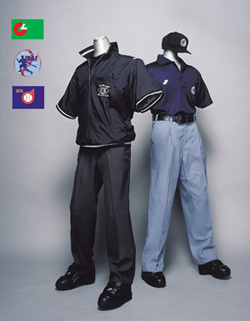 Especially notable, the Atlanta Olympics in 1996, with SSK as the official supplier of all the umpire's gear, and forthcoming during the Sydney Olympics 2000, SSK will once again officially supply all gear for the umpires. We at SSK truly support those who love baseball. SSK baseball equipment on the scene worldwide.